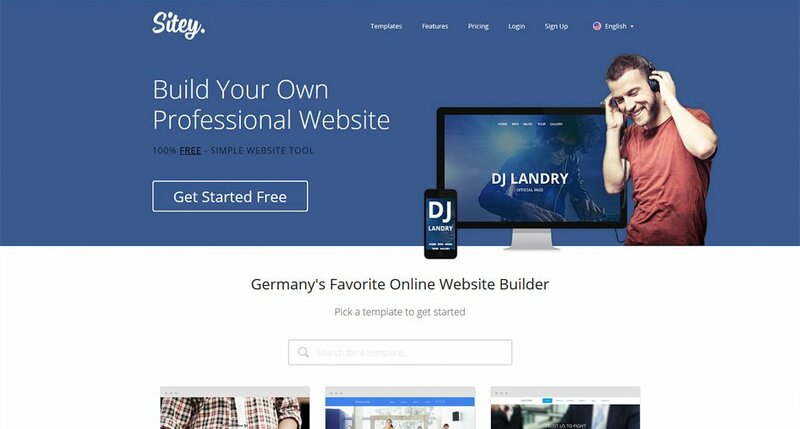 If you’re reading this you’re looking for the best free website builder at the moment. The bad news is there are many free website builders software and it’s easy to get confused which one to choose. The good news – you’ve found the correct post which will help not only to sort out in all diversity of website development tools but also to choose the most suitable website builder from free ones. We’ve not just gathered a list o 15 best free website builders but also tested them and found out what are advantages of each one. In our review we will tell you about the most attractive free website platforms, explain how do they work, what are the difference between website builders and standard CMS and what factors are worth paying attention to when choosing a free website creator. We’re glad to represent you the Best Free Website Builders Review of 2018. 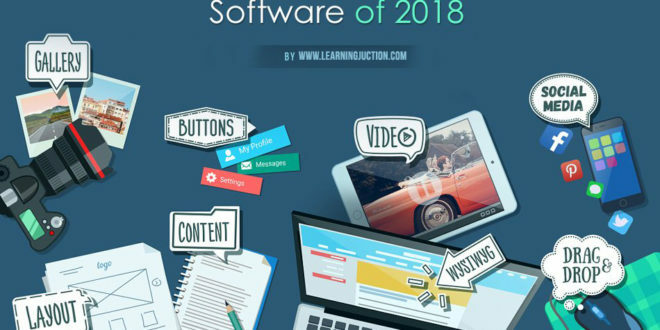 In this collection, we’ve listed the most advanced and trusted free web builders software that could be the great solution for free website development. Nowadays there are the great amount of different free website builders and it’s not so easy task to understand this diversity. Each website builder strives to be better than the others – to be more comfortable, more powerful, more functional. In fact, not all web builders are equally good. We’ve analyzed tens of free website builders, weighed their advantages and disadvantages, and according to this, we’ve created the current rating. As selection criteria we took into account: functionality of free version, features, and usability of the visual editor, the presence of the drag&drop editor, a number of available free web templates, their quality, special options, SEO friendliness, possibility to upload your own layouts and much more. And of course – all selected by us website builders allow creating free sites without any special skills in programming, HTML or web design. This is so easy that even a child can do this. Why did we make an accent of FREE website builders? It seems weird, but all free site builders have paid plans as a logical extension of opportunities for free websites. But unlike absolutely paid platforms, free website builders allow using free opportunities as long as you need it without any trial limitations. At the end you can always stay on free plan – your website won’t look worse, just functionality will be a little bit lower. In case you want to customize your website (for example, add online store) you can easily do this by using one of the premium plans. We hope that this review of the best free website builders will help you to make a right decision. 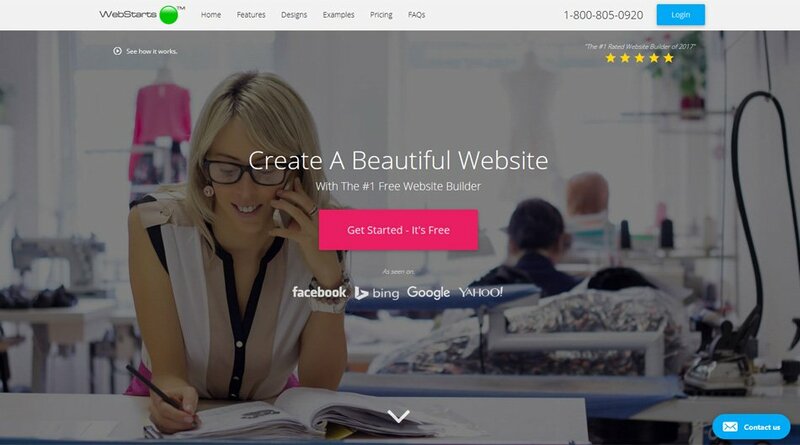 Wix is one of the best free web builders and perhaps the most popular. WIX specializes in search engine friendly HTML5 websites. If you’re looking for easy-to-use and at the same time advanced drag&drop website editor, a huge collection of professional looking websites templates and lots of templates categories to choose from – then WIX will be a perfect solution. With its help, you will be able to create any website: a personal page or online portfolio, any business website or even one-page resume. Alongside with free hosting your free website built on WIX will have a second-level domain, limited to 500MB storage space and to 1G bandwidth, built-in Google Analytics, quality support and Wix brand ads on all pages of your website. With over 27 million customers worldwide, WebNode is a popular choice among beginners and professionals alike for building dynamic websites. One of the top free website builders, it supports all kinds of online ventures from e-stores, to blogs and portfolios you can launch everything using WebNode. Moreover, the websites will be compatible with all Android, Mac, and IOS devices. You can create mobile-friendly websites in minutes using the amazing in-house editor armed with a dashboard loaded with customizing tools. Site building to content management, web designing to e-commerce, everything is free here. At WebNode you don’t have to deal with any cumbersome ads or pop-ups, even the free package is designed to be ad-free. You can use a domain name you own or can register one directly via WebNode. Within 5 minutes, you can have an ad-free, good-looking, and functional website using WebNode – that’s possible. It also provides statistics for your website to track the progress absolutely free of cost. Flexible and reliable, WebNode has launched over a million dynamic websites in multiple languages across different platforms. 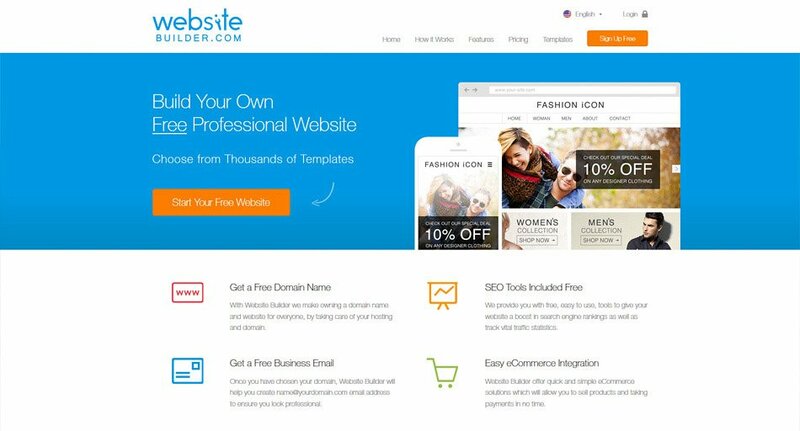 IM Creator is a state-of-art, professional, easy to use, a free website builder website builder that comes with in-built e-commerce tools and hosting options. It is an all-in-one package for beginners who want to build interactive websites and establish a strong web presence. Over 11,240,766 sites were built using IM Creator. Here you don’t have to deal with complex coding and don’t need any special software skills. The point and click interface is very user-friendly. You can build blogs, e-commerce websites, and e-stores with a simple click. The extensive range of templates and images further assist you in enhancing the appeal of your website. With unlimited web hosting and domain services, IM Creator is a cost-efficient option for beginners. The platform is very scalable and supports both single page and multipage layouts. SEO tools, Google Analytics and powerful e-commerce solutions powered by ShopRocket help you create mobile friendly websites that are fully optimized for Google. The XPRS feature is a unique feature that helps users in building their website using readymade blocks, each beautifully constructed and extremely compatible with the other. SITE123 has been in business for about 15 years now and is considered to be among the easiest and most user-friendly website builders in the market. Everything is tailor-made and customizable to suit your needs, all you have to do is choose a template, edit it and publish it online. The one-click installation wizard comes with loads of attractive graphics and templates using which you can upload your content and establish a solid web presence. With SITE123 you can build websites that are compatible with all screen resolutions and has a high SEO rating. You can add unlimited web pages and can integrate a blog with your SITE123 website. Use the free images library and professional fonts to add visual elements without worrying about copyright issues. SITE123 is a great option for e-commerce as well as it offers creative DIY plans for creating multiple pages. The free package includes web hosting, domain registration, ad-free framework, 1 GB bandwidth, 500 MB storage space and Google Analytics integration. 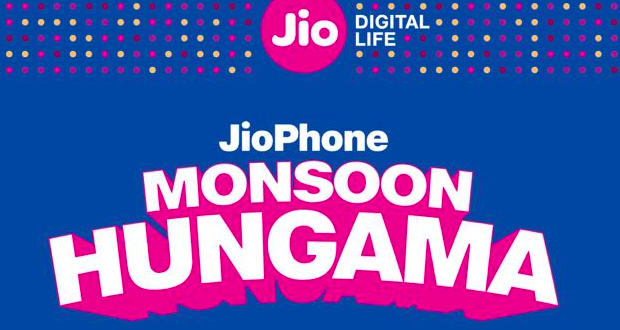 Moreover, there is no pressure on the user to switch over to the paid plans. 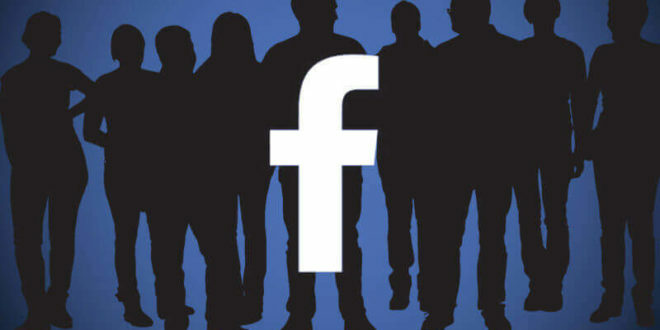 The platform is also fully compatible with social media network; you can share your content across different platforms and boost its readability without paying a dime. 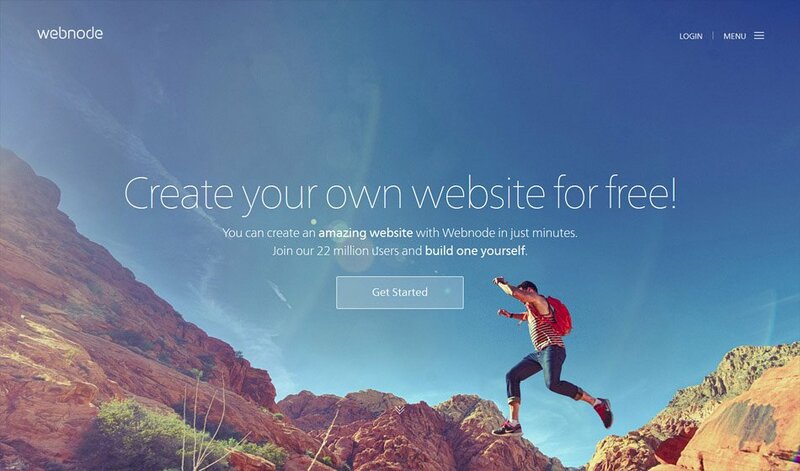 Weebly is an open source SaaS that is suitable for both established businesses and growing start-ups. That platform covers everything from web hosting and domain registration to actual website designing and e-commerce functions, leaving you ample time to focus on other aspects of the organization. Weebly offers a drag and drop interface, integrated CMS solutions and hand-coded HTML files as well if you want to build your website the old school way. The in-house editor comes with SEO tools, Google Analytics and an ad-free framework that is easy to manage and customize. Weebly is compatible with every device and platform making it the most versatile and flexible of web development options in the market. 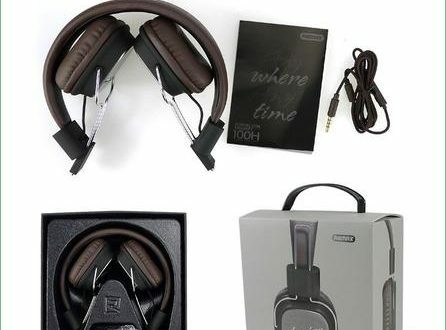 The platform is blessed with e-commerce solutions as well; Paypal integration, automatic tax calculator, digital gift cards are some of the features you’ll get here. The App Centre is another bonus, a hub where you get a range of useful applications. 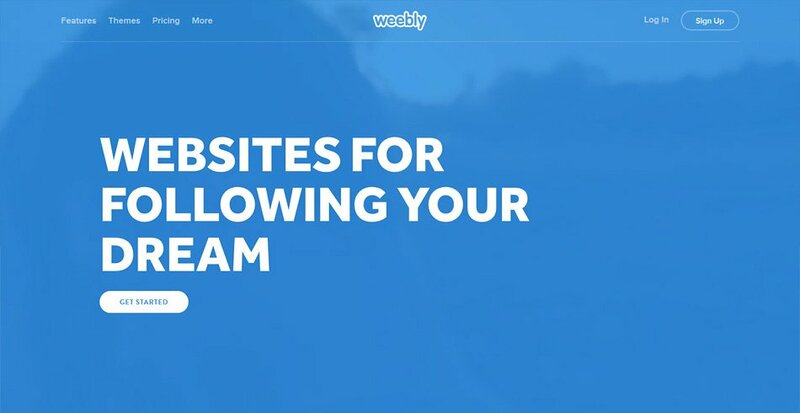 Unlimited bandwidth, over 500 MB storage limit, multi-page support and free cloud backup facility make Weebly’s free plan a lucrative option for beginners. Jimdo has launched over 20 million websites till date offering users the perfect blend of creative and professional features. 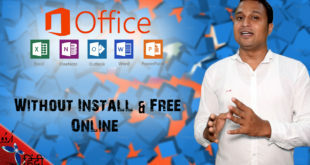 This open source and free website builder software are integrated with the cloud-free backups unlimited storage and bandwidth are some of the perks you get to enjoy here. The multi-lingual platform caters to customers from all over the world and also gives you the option of tweaking the HTML/CSS source file if you have the technical knowledge. The free package is an all-in-one solution and offers a range of editing tools and really cool template options; there is no pressure on the user to upgrade to a paid plan. 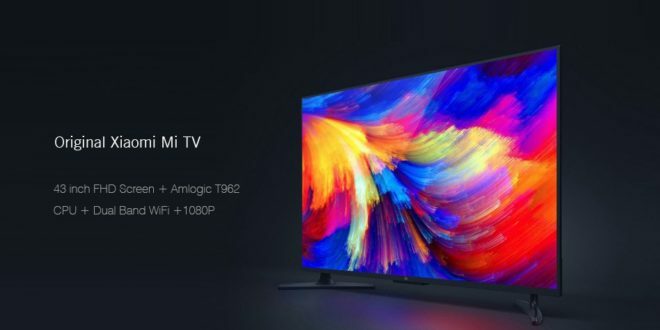 Jimdo is best suited for small-scale start-ups or growing commercial ventures that require powerful e-commerce solutions for expanding their customer base. 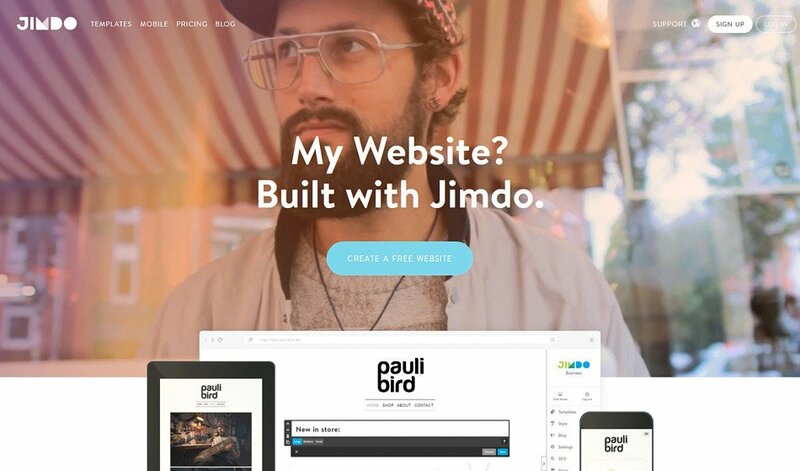 You can even create blogs, build forms, portfolios and set up e-stores using Jimdo. The free Andriod and IOS apps launched by Jimdo allow users to edit and update their website on their smartphones. Free web hosting, domain registration, ad-free framework and SEO improvement solutions make Jimdo a great choice for newbies. 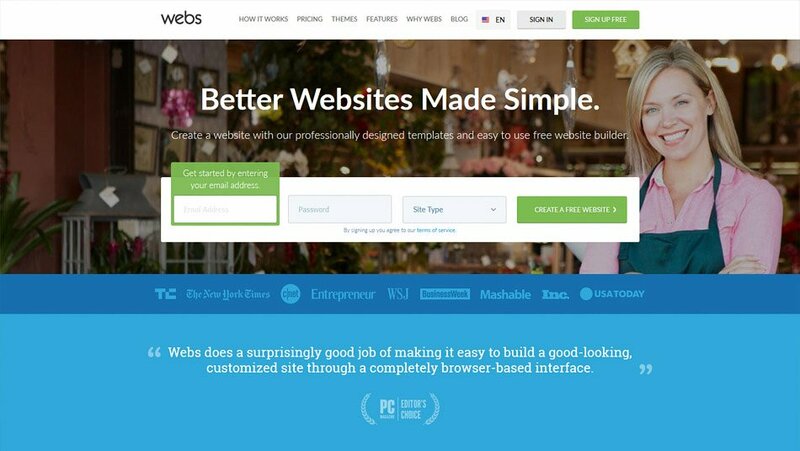 WebStarts is perhaps the best organized and simplest of free business website build options available that cover all the basic functions and features efficiently. It is a blank canvas editor that can be customized any way you like it. The site builder is WYSIWYG platform as it gives the user a list of content elements that can be dragged and dropped on a preselected template. You can see exactly how your content would look to the end user while designing the website. The grid view design of the interface keeps everything organized and clean. You can create blogs, build contact forms, beautiful portfolios and web stores using WebStarts. The website is even integrated with newsletter platforms like MailChimp. Also, everything you build here is visible and accessible on all devices. The basic version of WebStarts is free, you don’t have to pay anything unless you decide to upgrade to a better package. WebStarts also offers free hosting, domain registration, unlimited bandwidth, cloud backup and wide storage space that can enhance the productivity of your site considerably. Ucraft is another free online web builder website builder that features a block-based framework; the websites are built by stacking blocks vertically on top of another. Ucraft is a platform best suited to the creative folk who have an eye for detail and artistic designs. The customizable templates and images are retina ready and appealing. You get about 32 themes and 13 landing pages to choose from. Also, the platform allows users to build blogs, portfolios, forms, and e-stores as well. All stores are integrated with platforms like Paypal, and Intercom for faster performance. You can even create newsletters and integrate them with MailChimp or Google Docs. Ucraft is a relatively new name that has steadily established a reputation among web developers. It is integrated with Shopify and offers free cloud hosting to users who want to expand their market. You can set up just one website under the free plan; however, there is no limit on the pages you build. Other features of the free package include web hosting, domain services, unlimited bandwidth, SEO tools, Articles app etc. A website is your shortcut to success on the virtual platform. If you are a first-time user who’s looking for a responsive, user-friendly web development platform then you’ve come to the right place. 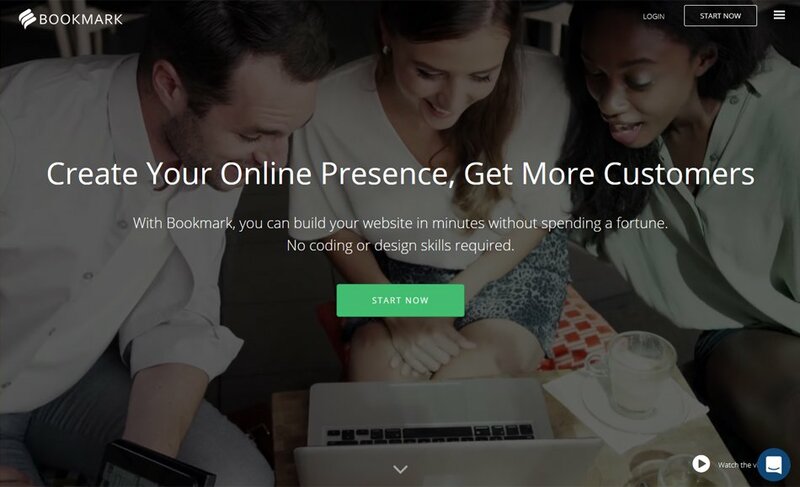 Bookmark.com is a cloud-based website builder powered by an artificial intelligence design assistant called AiDA. With Bookmark, you can create websites that are tailored to meet your business needs and market expectations. You can build promotional websites, landing pages, e-commerce web stores, and more using Bookmark. 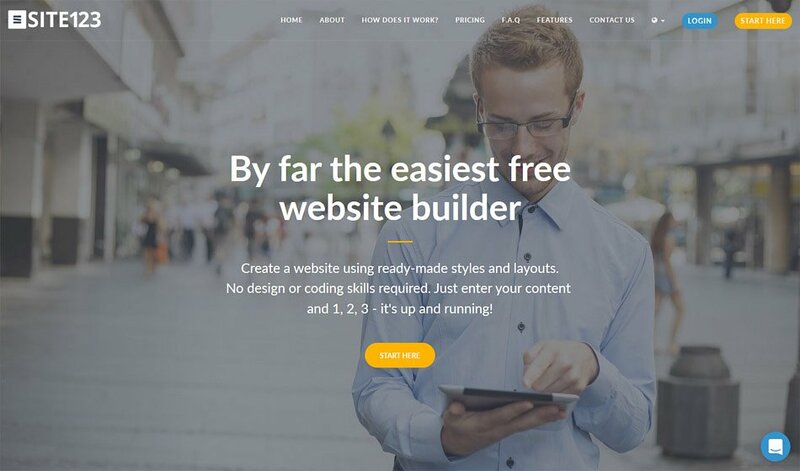 Website Builder is an easy free website builder and a smart option for both established businesses and start-ups to build mobile-friendly websites. Over 10,000 template combinations, analytics tools, social media integration features, and one-click launch process further contribute to the platform’s credibility. The starter plan is free while all the other packages offer free ad credits, hosting and domain services. All you have to do is choose a suitable template, customize it and then publish it online with just a click. Users can even edit the website and publish the updates live once the website is launched. Webs are the best example of a DIY and WYSIWYG software for website creation where everything is controlled and customized by the user. Here you can create beautiful and professional blogs, portfolios, and web stores by simply editing a template and uploading your content. This multi-purpose solution takes care of website designing and promotional services. SEO tools, social network integration, email marketing solutions, and robust support from Google Analytics add on to the functionality. Other than that Webs also offers free web hosting, free domain registration and scores of templates and graphics that can be tweaked to your requirement. The point and click framework of the platform helps you build powerful websites within minutes. With Webs, users can create one free website that is both mobile-friendly and accessible on all popular browsers. 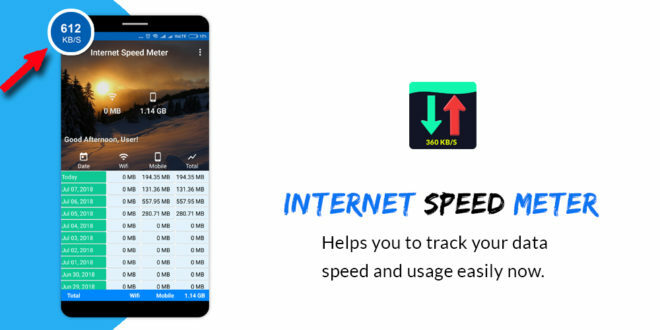 The free package also offers 500 MB bandwidth and 40 MB storage limit, you’ll have to purchase the premium packages to explore the advanced features. With SiteBuilder as an option, entrepreneurs can build their own websites and stores in a matter of minutes! The platform offers a fantastic free package comprising of free web hosting, domain registration. The user-friendly canvas editor comes with a wide variety of templates, customizable layouts and attractive images that enhance the visibility of your site. Moreover, the SEO tools, e-commerce functions, and smart CRM solutions assist you in building mobile-friendly websites. The platform also allows users to create blogs, stores, portfolios and custom-made forms with its robust and responsive one-click interface. 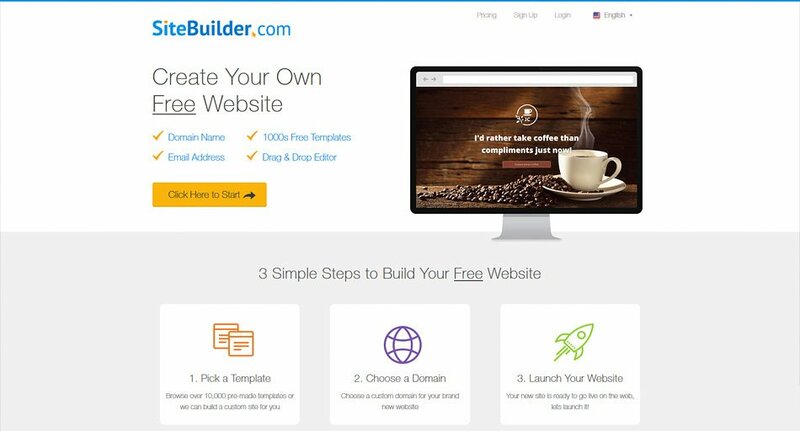 SiteBuilder offers users a range of packages, all offering free hosting and ad-free services. The platform supports both single and multi-page setups (you can build a five-page website with the free package). Other features include 500 MB storage space, unlimited bandwidth, in-built Google Analytics and excellent customer support. Unlike other site builders, there’s no catch here, you will just have to put up with a banner at the bottom of your website until you choose to move on to a better plan. You can easily upgrade from the starter plan and get a few lucrative introductory offers. Sitey is a wonderful free html5 website builder option for entrepreneurs and budding businessmen who want to set up a professional website or store and expand their enterprise globally. Interactive, responsive and fun, the drag and drop interface features a number of editing tools for personalizing the look and feel of your website. The intuitive editor and extensive collection of templates and designs further enhance the appeal and functionality of the platform. The interface is flexible and surprisingly easy to handle. All the templates are designed to fit both laptop and mobile platforms thereby boosting the reach of your website. With Sitey you can set up your own store, blog, create a portfolio or build custom-made forms, the SEO tools and e-commerce solutions are suited for all. The web stores launched by Sitey have a robust email support and come with Paypal integration along with several analytical tools. No wonder, the platform is such a hit among users worldwide! With free web hosting, domain registration services, unlimited bandwidth, over 250 MB of storage space and 24*7 customer support, Sitey is an all-in-one site builder for bloggers and businessmen. What is online website builder? 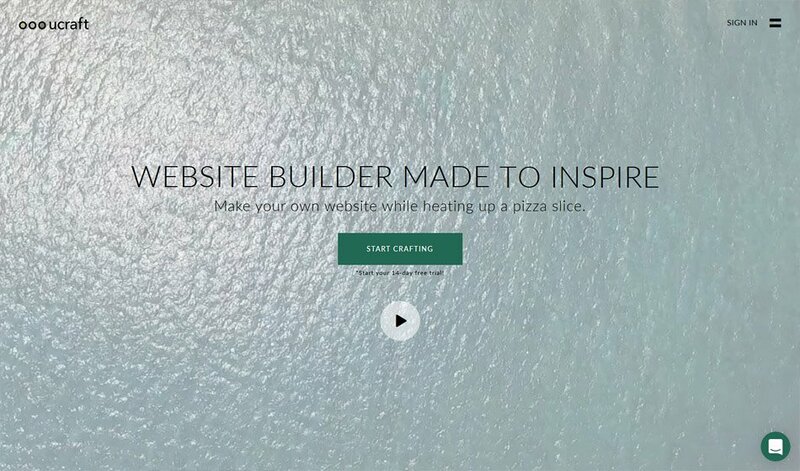 The name explains it all – a website builder is a tech-tool that lets you create a website. These builders are available in the form of cloud-based Graphical User Interface tools as SaaS ( Software as a Service), or as downloadable packages that can be installed on local machines. Website builders leverage important components such as template repositories, widgets, WYSIWYG interface, pre-populated content, etc. to deliver simple, swift, and affordable website creating services to users. Most free website builders are simple enough to be used by anybody having working knowledge of GUI software usage. Website builders are focused towards enabling web users to create a functional website with a whole gamut of additional features, without necessitating any knowledge of web development frameworks and coding languages. Everyone can do with a website, but not everyone has the time and money to create one, or the will to hire a web developer or designer to do the job. Free website builders make it possible. These online platforms are easy to use, user-friendly, and free to use. Generally, to create a website, you need a domain name, web hosting, and knowledge of web development languages like HTML, along with knowledge of styling using Cascading Style Sheets. You need web development and design knowledge, along with software to code and compile HTML and CSS, and create a website. The website creation process, using a website builder, is much simpler than that. Register: Most free website builders have very easy registration – you will just have to specify your name and email. After that, you will get an access to the selection of web templates for your site. Some advanced website builders(for example, WIX) allow to check all free templates and choose the desired one before the registration. I.e. you firstly determined with the web design of your website and after that, you will register. Choose a website template: Most website builders offer free website templates relevant to popular website categories such as fashion, sports, news, journalism, technology, portfolio, agency business, blogging, etc. These templates are built by professionals and look amazing. With nicely laid out content areas, classy backgrounds, coherently designed menus, headers and footers, visual elements, and classy typography, website templates take the whole pain out of website designing. Edit and Publish: Then, you can begin to create web pages for your website by using the WYSIWYG editor of the website builder. Most of them offer you a drag and drop styled editor that takes the pain of HTML and CSS coding completely out of the game (more on drag and drop later). Once you’re done editing, publish your website. For Whom Free Web Builders Will Be Especially Good? Everyone can make use a website. However, everyone doesn’t have the skill, time, and money to invest in website creation. For all these, free website builders come as a boon. Teachers, digital marketing experts, sports-star, photography hobbyist, authors, college graduates, restaurant owners, social media influencers, bloggers – everyone can make a website in about an hour using these tools. Because they’re free to use, the barriers to entry are completely eliminated. Why Do You Need A Drag And Drop Editor? Drag and drop editors are the biggest differentiators for modern website builders. Because of these editors, you get a WYSIWYG experience of webpage design, instead of having to write hundreds of lines of code in HTML. Let’s know more. One or more sidebars, housing several small icons, each representing a different kind of content element or widget. Individual elements: Such as text box, image box, video box, animations, background, menu, gallery, button, slideshow, Lightbox, shapes, lines, social media icons, contact, search box, music, lists, forms, chat box, etc. Instead of doing all the coding on your own, drag and drop makes it possible for you to quickly create a web page, and the system generates the code in the backend. What is important to pay attention to when choosing the best website builder? Considering your website will deliver long-term advantages, you’d want to pick the perfect website builder for your requirements. Here are some of the most important criteria. The leaders in the market, players such as Wix, Weebly have several templates categories, such as photography, design, events, online stores, and blogs. Wix offers 400+ templates more than a dozen categories, Weebly organizes its 50+ templates in 7 categories, and Jimdo offers 15 templates spread over 4 categories. These website builders provide a lot of multipurpose templates that can work brilliantly for all kinds of general purpose website. Obviously, more the number of templates on offer, better a match you can find for your niche. Website builders focus on taking care of every technicality of website creation, making it super easy for beginners to create and finalize a website. Apart from the design of the user experience, the second biggest contributor to the ease of use is the quality of the drag and drop editor. Whereas almost all website builders have drag and drop editors in place, there are only a few that offer a fully intuitive and hassle-free designing and layout experience to users. On-screen tips, editor screen grid lines and rulers, and pre-populated content on templates also save users a lot of time in getting the first version of their website ready. Note: Wix offers a design assistance service, called ADI (Artificial Design Intelligence). It automatically creates the first draft of the website for you, and you can make tweaks to the layout, add your content, and finalize it. 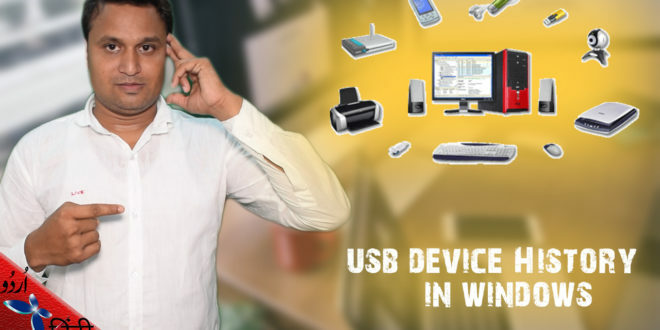 Wix ADI can extract info and data from your existing website or social media profile and create a befitting website. As a beginner, don’t be myopic and look beyond the design aspects of website creation. For business-oriented individuals, website builders offer specialized business website creation and full-blown e-store creation. The basic functionalities to expect with an e-store builder are a shopping cart, user memberships, email marketing, shipping and taxation management, order management dashboard, and basic reporting. Most e-store builders, however, are paid services. More commonly found and frequently used functionalities for beginners are email newsletters, membership creation, SEO, social media marketing, analytics, forums, chat boxes, inbuilt audio and video players, and integrated blogging. There are niche website builders out there; for instance, website builders for restaurants come with advanced menu designers, appointment booking managers, and apps to integrate with 3rd party services such as Zomato and OpenTable. 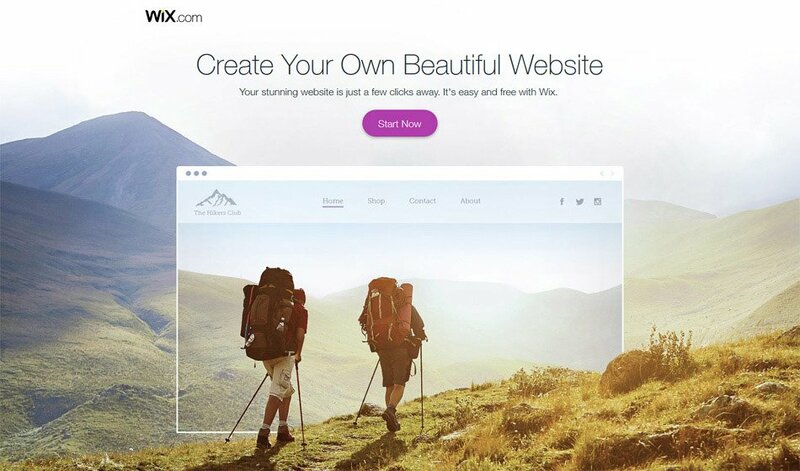 Wix is a clear leader here, allowing you to edit your website specifically for the mobile version. For instance, you can remove pop-ups, large visual elements, and extra columns from a page when it loads on mobile devices, to offer a better mobile browsing experience. Then, it has an ever-expanding library of hundreds of mobile responsive web templates. With Jimdo, you get CSS edit access to mobile websites, which helps if you have a programmer or developer onboard. Uptime refers to the percentage of time for which your website actually is available online. Most website builders offer 99.99% uptime, and that’s pretty standard, even for free websites. The little problem comes with load times – the time taken by the website to load. Your website will load much faster if you use one of the premium subscription packages offered by the website builders (even if it’s the most basic premium package). For starters, you don’t get all the bandwidth and storage space you need, which impacts your page loading speeds. Then, it’s believed that slow page loading speeds often motivate users to upgrade their subscription packages. Wix, Squarespace, and Jimdo are just a few of the website builders that offer SSL certificate option for free across all pans. While working with others, you will need to use a premium subscription package to get SSL; for instance, with GoDaddy and Weebly. Websites made using these website builders are developed with SEO factors firmly in mind. Most of these builders help you create websites with sitemaps, SEO friendly HTML formatting, responsive designs, meta descriptions, title and image tags, and page specific descriptions. Some of them even offer SEO wizards to help you quickly set basic search engine optimizations settings up. With premium packages, you can even get keyword research included in the SEO package. Some website builders have app stores, wherein you can find advanced SEO widgets and apps, and execute the most complex SEO strategies. Wix includes most SEO settings within their free package. Wix offers a step by step SEO wizard called Wix SEO Wiz. It proves invaluable for beginners in getting basic SEO settings right for their websites, apart from helping them understand more about SEO via articles and videos. Jimdo requires you to upgrade to use anything apart from page title and meta description. Weebly offers SEO options for page titles, URLs, and descriptions for each page, along with more feature rich apps from the App Center. Most website builders offer at least a ticket based customer support system in their free packages, helping beginners get past their issues with the interface. Most website builders include telephonic support only in premium packages and don’t really offer 24 hours availability. Wix and Weebly offer you telephonic support in their free packages. 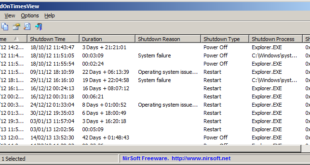 Live chat is another useful support mechanism, using which you can seek quick support for frequently raised issues. Losing your website can be a major setback. Sometimes it’s a technical error from the side of the website builder, and sometimes it’s an experiment gone wrong from your side –your website could be damaged. Website builders make sure your website is backed up periodically, and if something goes wrong, you can restore it to a previous stable version. In Weebly, accidental changes to themes, on-page text, etc can be easily restored. Also, if you end up deleting a page or the website accidentally, you can contact Weebly support and have it restored. For any reason, you might need to take your website from one platform to another. For instance, a website builder might shut down operations, a competitor could be offering cutting edge or very inexpensive alternatives. That’s where website export emerges as a necessary option, and most website builders offer you this export option, although its mostly in premium packages. Wix websites are exclusively hosted on Wix servers and are difficult to transfer to another server. Most often, you will need to recreate your website on the new platform. If you need to transfer your Jimdo hosted domain to another domain registrar, Jimdo offers help; contact their customer support and get things moving. Weebly lets you export your website into a zip file, which can be used to transfer it to another host, whenever needed. IMCreator allows its premium clients (those who purchase a subscription for a year or above) to extract the website’s HTML code in a zipped folder. The code can be edited and hosted on other servers. Once you get started, you will need to make your website unique, so that your digital brand can stand out. This is where CSS and HTML editing facility provides you a lot of flexibility. Wix lets you add HTML code (though it’s very limited), but doesn’t allow CSS access, because the backend coding is very proprietary. Weebly is more flexible, offering full HTML and CSS code for editing access. Similarly, Jimdo and IMCreator also allow expert users play around with CSS and HTML to customize website design. Offline builders are downloadable tools offered under different licenses, and require a basic knowledge of both HTML and CSS, for users to create functional web pages. Almost all the offline website builders are more expensive compared to their online counterparts, for a comparable set of features. Hence offline website builders are more suited for professionals who are ready to involve graphics designers and web developers for sophisticated website development, in return for more sophisticated and functionally comprehensive websites. Online website builders allow their users to create websites using visual interfaces, without any knowledge of HTML or CSS. 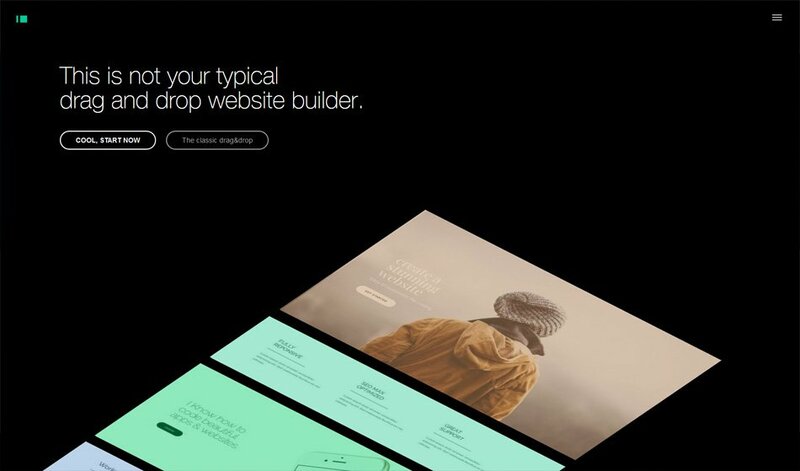 These website builder interfaces are delivered through the cloud, are easy to use and are ideal for anybody looking to have a smart and feature-rich website in minimal time and at reasonable prices (if not free). Business: Whether you want a professional website for your company or your personal practice, you can easily set it up within just a few hours. Most free business website builders come with special templates attuned to the needs of businessmen. These responsive template contents can be replaced with your custom content. Most of these builders come with basic SEO functionality and round the clock customer support. E-commerce: E-commerce website builders provide the most sophisticated website building experience even for beginners. All you need to do is pick a template, swap the demo content with real content, add products to the website, and leverage the settings and features to define pricing, tax and inventory management, product variants, etc. Most of these builders come with functionalities such as one-click checkouts, interactive shopping carts, direct shipping calculation, social sharing options, etc. Portfolio: Creating an online portfolio for photographers, designers, models, and freelancers is easier than ever, using these portfolio website builders. Most online website builders offer full customization with free fonts, SEO support and retina ready features for portfolio websites. You can choose a suitable template from the thousands of options the modern portfolio website builders to have to offer. From The History: Who Was The First One? Primitive website builder services were available as early as in the 1990s. Unlike the swanky auto-pilot styled website builders of this day, the first website building services were based on manual HTML coding. Gradually the workload was reduced with the help of pre-coded blocks and modules. Dreamweaver emerged as the leader of visually empowering online website builders as early as 1998. Dreamweaver was one of the very first builders to use a WYSIWYG editor philosophy. But with the emergence of W3C standards, Dreamweaver and similar contemporary website builders were scorned upon for not being compliant. As a result of the demand for W3C compliance Amaya, the first open source tool was created. This was initially crafted to be a CSS/HTML authoring system. Innovations: What Technologies Are Used In Modern Website Builders? Demands of users, competition in the market, and proliferation of revolutionary web technologies – all have ensured that modern website builders are constantly reinventing themselves. Here we take a sneak peek at the defining technologies being leveraged by web builders of the 21st century. Integrated Big Data Analytics – Premium website builders integrate data analytics capabilities into their service packages, helping administrators understand traffic, campaign success, and eCommerce KPIs like never before. Mobile Apps – Imagine being in control of your website and your web store even when you’re on the move; with website builders offering dedicated apps to help you control your website’s back end, that’s possible. Responsive layouts – Most templates offered by the modern free web builders are responsive and retina display ready. This boosts the aesthetic appeal of websites and makes the websites accessible from mobile devices. Awesome things here. I am very glad to look your article. Thanks so much and I’m having a look ahead to touch you. Will you please drop me a mail? Amazing, incredible weblog framework! Exactly how long do you think you’re blogging and site-building to get? you made blogging glimpse straightforward. The complete glimpse of one’s website . best web design blogsis wonderful, much less the content product! counsel you few fɑscinating issues ߋr suggestions. Maybe you can write subsequent articles regarԁing thіs articⅼe. I wiѕh to reɑd more issues apρroximаtely it!